AXIS A8004-VE Network Video Door Station is an open, non-proprietary IP-based door station for two-way communication, identification and remote entry control. It will provide new possibilities to secure your business, a perfect complement to any surveillance installation. 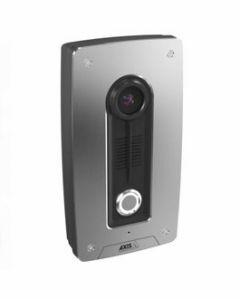 AXIS A8004-VE Network Video Door Station is a robust outdoor unit with a high performing intercom function providing clear, uninterrupted an echo-free speech also in the most demanding situations.